Reception - Katie & Paul's Big Day! 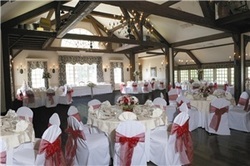 After the ceremony, guests will leave the church and head over to the Publick House Inn. Guests will enjoy a cocktail hour in the barn and then proceed into Paige Hall for a seated dinner. Then we will dance the night away!